"Duffy is nailed on to start both games, and you get two points just for playing over 60mins each time." Jamie Vardy - £9.2m. The Leicester forward is bang in form under the guidance of Brendan Rodgers, and so are his teammates. The Foxes have won their last four, scoring 11 goals in the process - seven of which Vardy has been involved in. The ex England man scored five and assisted two, and he even found the net in the 2-1 defeat at Watford, which was Rodgers' first match in charge. The visitors to the King Power on Friday are Newcastle, and their own form has dipped of late - taking just one point from a possible nine. Vardy is 11/4 to open the scoring against the Magpies. Romelu Lukaku - £10.8m. Manchester United may not have registered a shot on target against Barcelona on Wednesday, but they couldn't ask for much of a better fixture as they welcome West Ham to Old Trafford on Saturday, with the visitors apparently already on the beach for the summer. Manuel Pellegrini's men have conceded nine goals across their last four outings, and their opponents included Huddersfield and Cardiff. Lukaku has returned to form since he made his way back into the first XI, and he has two braces in his last four Premier League appearances. James Ward-Prowse - £5.1m. The Saints were beaten by Liverpool last week, but that can be forgiven, and they should have a good opportunity to take the points against a Wolves team who could be on a downer following their dramatic FA Cup exit. JWP is one of the players to have excelled under Ralph Hasenhüttl, as he found the net in 22, 23, 24, 28, 29 and 30. Surprisingly he hasn't registered any assists, given his dead ball abilities, but they shouldn't be too far away. He represents great value at £5.1m. The midfielder is 3/1 to score his seventh goal of the season on Saturday. Dominic Calvert-Lewin - £5.4m. The young striker is beginning to get regular game time under Marco Silva, and while he has only scored twice in the last six matches, he picked up a couple of assists too, and Everton are in decent form. A trip to the already relegated Fulham should prove fruitful for the Toffees, and Calvert-Lewin will hopefully be one of the players to reap the rewards. A Dominic Calvert-Lewin hat-trick can be backed at a massive 45/1. Neil Etheridge - £4.7m. I think that this must be the first time that I am picking a goalkeeper in my six to like, but with two games this week, it feels wrong not to include a Cardiff player. None of their attacking contingent overly entice me, and while the Bluebirds have two away fixtures, they are only at Burnley and Brighton. They have a fair chance of keeping at least one clean sheet, and Etheridge is also good at racking up save points. He has also saved three penalties this season. Leroy Sane - £9.3m. Guessing who Pep Guardiola will pick in his team can be a bit of a lottery at times, and while Sergio Aguero has tended to be a mainstay when fit, I just wonder if Gabriel Jesus will be given the nod at Palace, given that City need to overturn a first leg deficit against Spurs on Wednesday. That's why I'm going for Leroy Sane as my representative, as he was on the bench at White Hart Lane on Tuesday, and he has only started one of their last four league matches. That game was their most recent one - and he scored one of their two goals. It was his ninth of the campaign in the league, to go with his 11 assists. Fernando Llorente - £5.1m. Harry Kane's injury means that Fernando Llorente will likely be given the nod against Huddersfield on Saturday, and there is every chance that Spurs will run up a big score against the bottom club. When the England captain was injured earlier in the season, Llorente started four matches and scored 21 points - an average of over five per game. That total was also negatively affected by an own goal, and he will be looking to impress the manager in order to force his way into the starting XI for the Man City game. The Spaniard is 10/11 to find the net against the Terriers. Paul Pogba - £8.7m. Paul Pogba has been a revelation under Ole Gunnar Solskjaer, but he hasn't scored in his last six league games, and only produced one assist. He is certainly due a big haul, something of which he is quite capable. The World Cup winner has delivered double figures on four occasions since Jose Mourinho left the club, and as mentioned in the Lukaku write-up, West Ham are there for the taking at present. Glenn Murray - £6.3m. It's no surprise that over 100k managers have transferred in Glenn Murray this week, but I am not one of them. 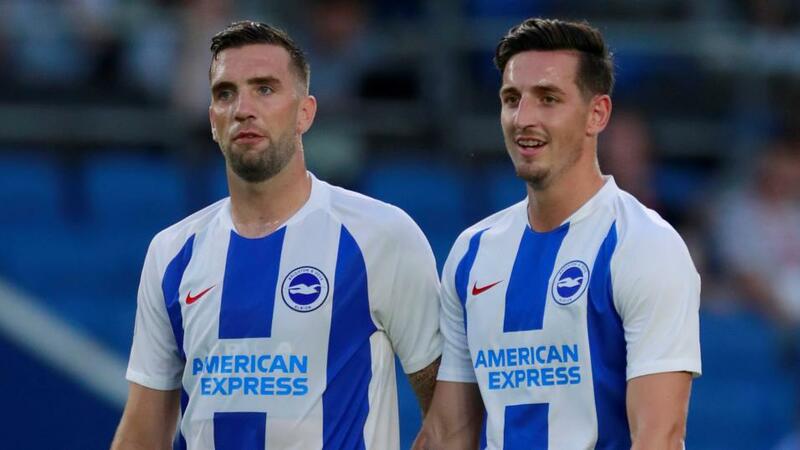 Yes, Brighton have two home games against teams who concede goals in the shape of Bournemouth and Cardiff, but there is no way he will play 180 minutes. The veteran striker is highly unlikely to even start both fixtures, and he has only scored one goal in his last seven league matches. There are better options out there. Eden Hazard - £11.1m. The Belgian forward put on a masterclass at Stamford Bridge on Monday, and he was rested for Chelsea's trip to Slavia Prague on Thursday - he was on the bench. I have been quite high on him lately, and he has delivered in his last two games, but the Blues are at Anfield on Sunday, and Liverpool are back in form. The Reds are going for the title, and with an electric atmosphere a given, I don't want to be owning any players that are coming up against them at the moment - especially ones that cost over 10% of our squad's total budget. Shane Duffy - £4.7m. I never thought I would give the armband to a defender, a player who has a price tag of £4.7m or a Brighton player, but this week's pick checks all three of those boxes. Chris Hughton's men have two fixtures this week - only them and Cardiff do - and both of Brighton's are at the Amex. Duffy is nailed on to start both games, and you get two points just for playing over 60mins each time. Clean sheet potential looks good - especially against Cardiff - and let's not forget that the Irishman has five goals and two assists to his name this season. The centre half is 11/2 to score his sixth of the campaign against the Cherries. *Remember the deadline to submit your teams for GW34 is 19:00 on Friday.